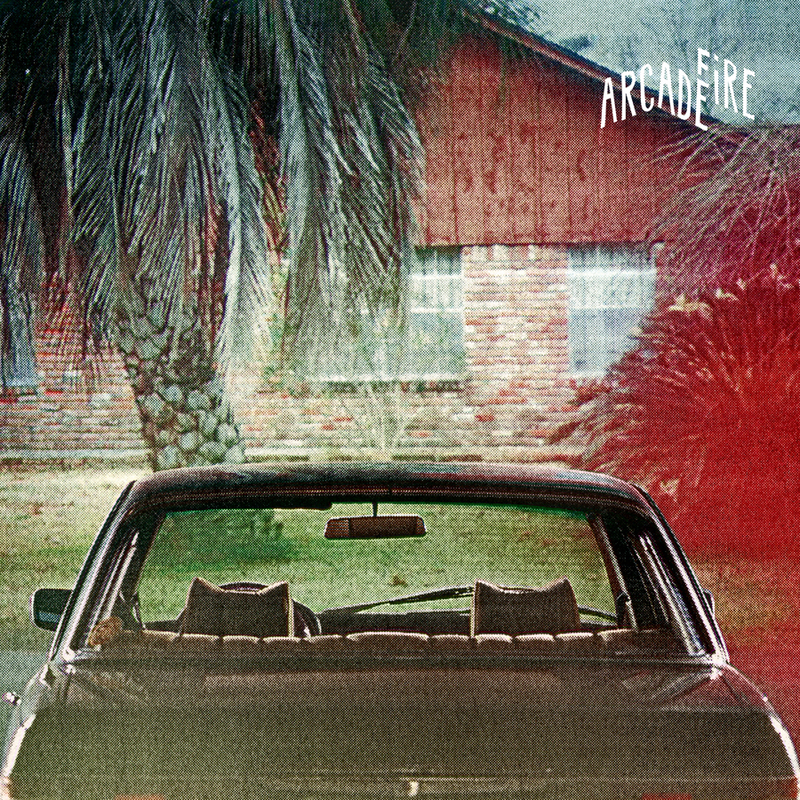 I was first introduced to Arcade Fire through an ex. I am not exactly sure when, but I am pretty sure it was in his car heading to God knows where. My ex had the habit of stashing a big pile of CDs in his car, some of which would often end up in the floor, hiding bellow the seats or even falling as we opened the doors. As avid fans of Radiohead and anything that has had any relation to the band at any level, my ex and I often agreed in terms of music taste. While his music preferences had started to evolve away from alternative rock and more towards indie-dance, he still kept a small selection of indie-rock within his stash. Among them was Arcade Fire and the CD of theirs he would so casually pick was Neon Bible, their sophomore LP. There was something about the music that I listened to that day that immediately intrigued me. It wasn’t exactly love at first sight, but there was enough in my first few listens to drive me to continue to listen with increasing affection. After a week or so, I remember Arcade Fire’s Neon Bible had become a customary part of all of my car rides, even when my ex was not exactly thrilled about my new-found love given that his liking for the band had begun to subside. In Neon Bible, I would find solace in its profound lyrics, embedded with layers of meaning that accompanied me through my break-up (it had nothing to do with my dictatorial control over music, just in case you’re wondering….). Songs like “Black Wave/Bad Vibrations” or “Antichrist Television Blues” just had an intrinsic quality to them that moved me, often taking me to a place of sadness, but also of inspiration. 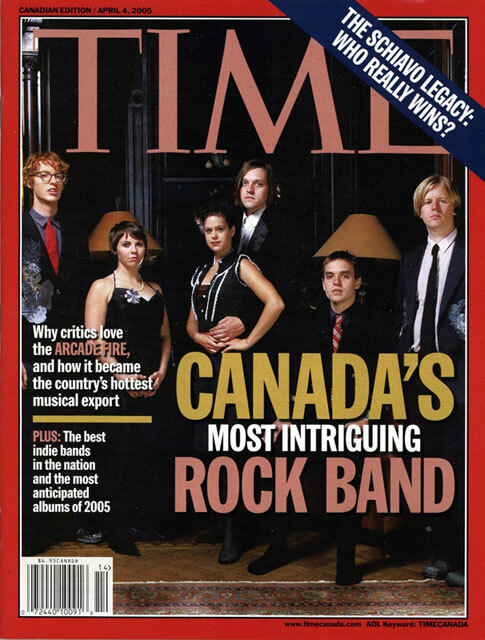 Fittingly, my ex was also responsible for the introduction of Arcade Fire’s Funeral, a few months after we had consummated and even accepted our separation. It turns out he gave me the band’s first album as a “gift” in an attempt to make amends and salvage at least a friendship out of our long relationship. I accepted his gesture and, to this day, I hold on to his CD, although the gesture did not pan out to be more than our last musical exchange, a memoir to a relationship that wasn’t meant to be. Funeral, as he had told me many times, was a better album. For as long as I kept listening to Neon Bible, I simply had refused to expand my horizon into what sounded to me, after very short listens, as a far more pedestrian LP. It wasn’t long in my new found solitude that I found a friend in Funeral, an even better friend than Neon Bible. The album was simpler, with less grandiosity but far more meaningful songs that bordered on the “simply gorgeous” stature. The first and best song “Neighborhood (Tunnels)” painted a picture for me like few songs ever have. This was a picture of nostalgia for childhood, for family and for a long lost love. Like the rest of the album, “Neighborhood” was coated with an aura of sadness and unfulfilled desires that I related to. Funeral, unlike its follow-up, allowed the band’s front man Edwin Butler to excel with his tuneful but always nostalgic voice, never truer than in the gloomy “Crown of Love”. As it was the case in Neon Bible, Funeral leaves some of the best for last. While the first had the grand but effective “My Body is a Cage”, Arcade Fire crowned the exquisite Funeral with the beautiful voice of Butler’s wife, Regine Chassagne, in the introverted and meaningful “In the Backseat”. It would be a long while before I had the chance to put my hands on new Arcade Fire material since, once again, I found myself trapped by one of their albums and I was reluctant to explore beyond, perhaps wary of possible disappointment. Nevertheless, my desire to listen to new tracks eventually dissipated my doubts and I downloaded (legally I might add) their third and last LP to date: The Suburbs. Once again, I was pulled into a world of powerful lyrics, with moving melodies that ranged from the grandeur exhibited in Neon Bible, to the more quaint and simple quality of Funeral, but also introducing a type of in-your-face rock side to their music they hadn’t shown much of. Some songs were truly refreshing and different within their brand of music, while others were familiar but even more polished and triumphant than in their previous work. The Suburbs is, in their relatively young career, THE album that every indie-rock band wants to make. The album is the evolution of their brand, taking the very best qualities from their previous two efforts and putting them all together to create a repertoire that could easily end up being their “magnus opus”. In fact, it is hard to think of an album by their making that could reach superior heights, but then again, they have always managed to surprise me. From the very first track that bears the title of the album, passing through “Modern Man”, “City with no Children”, “Deep Blue” and “We Used to Wait”, the album remains steadily great, rarely encountering weak moments that are more commonly found in either Funeral or Neon Bible. It is on that consistency of sound, of being able to grab, keep and elevate your attention that The Suburbs feels superior than anything I have heard for a long time. I can only say I hope more of the same comes and that Arcade Fire remains at the same level, never settling for less and, even though I am doubtful about their ability to continue to outdo themselves, I can at least hope for more high-quality albums that deserve all of my love and attention. Thank you sir. I appreciate your kind words. How did you end up in this blog of mine anyway? That’s really lovely, thank you.